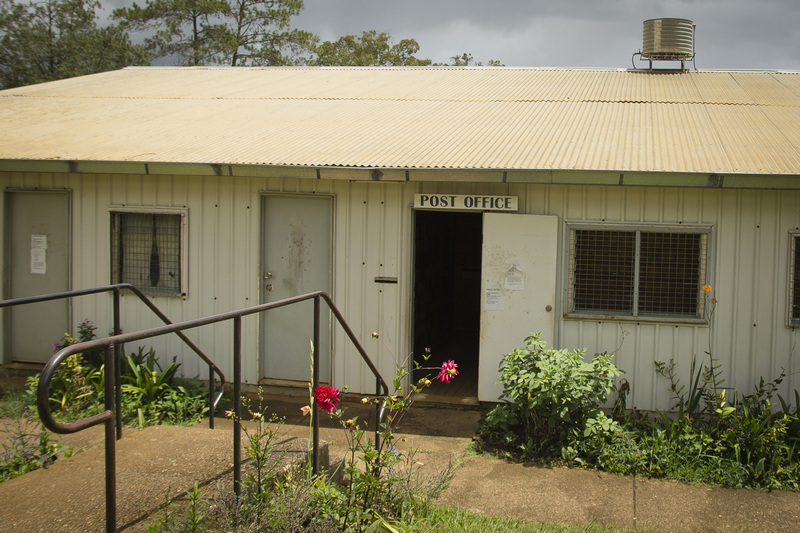 Although at first glance a post office might not seem to be critical to Bible translation, it plays a significant role here in Papua New Guinea (PNG). 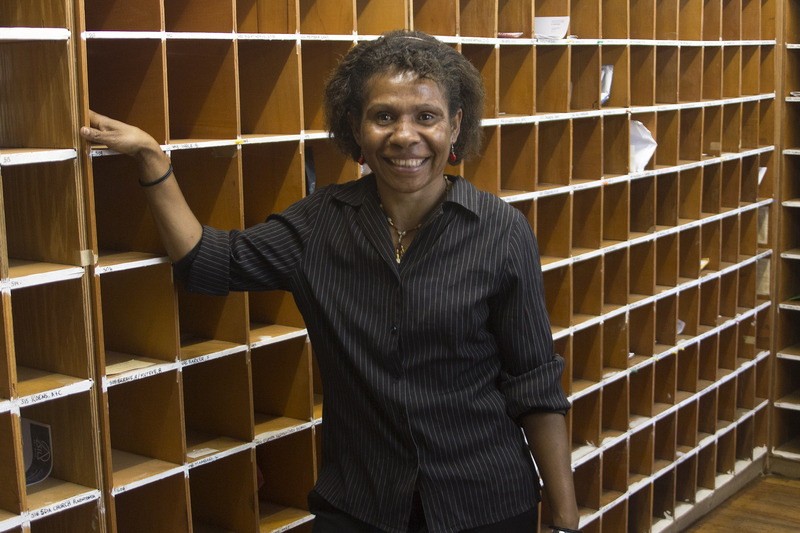 When translators in remote villages find themselves in need of something, Regina, the post office manager, works hard to track down the item and send it in a timely manner, often requiring her to interface with everything from aviation schedules to regional centres to the PNG postal system. Fortunately, she loves all the detailed bookkeeping. “But, I don’t have peace until it’s actually on the plane!” she laughs. She also enjoys seeing people encouraged by packages sent from their home countries. Samson was doing his best. 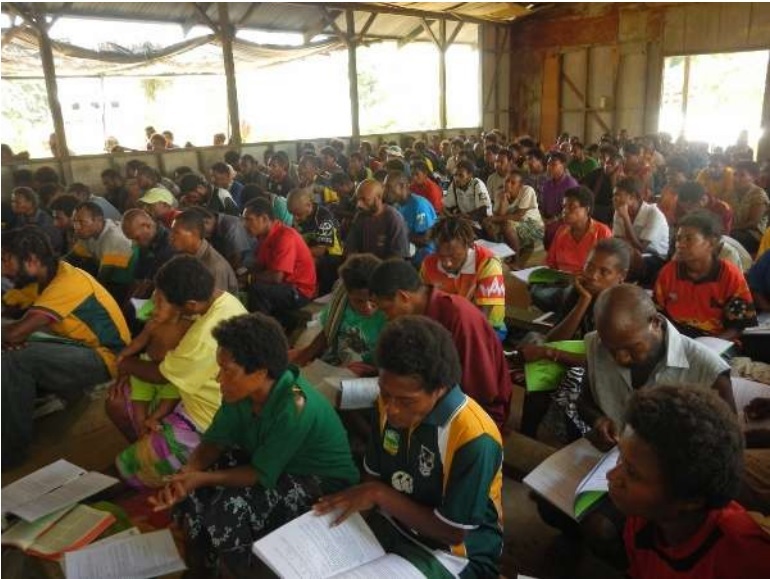 He had a deep desire to see his people transformed by God’s Word, so after a Scripture Application and Leadership Training (SALT) course in a neighboring language, he had undertaken the task of translating the course materials into Amele. It was a huge project, and Samson struggled along with little training and almost no support. As they talked, they began to catch Samson’s vision for the Amele to grasp God’s Word in a deeper way, until the entire denomination threw its support behind his efforts. A team formed, with Samson at its head, and for the next year they pushed through discouragement and hardship to translate the twenty SALT lessons. It became a community project as women cooked for the team and children even pitched in by bringing firewood. Excitement built, with other denominations coming on board, and as the project neared completion and registrations poured in for the Amele’s own SALT course, leaders realized they would need to run two back-to-back programs to accommodate all 480 participants. Samson’s dream for his people is coming true. 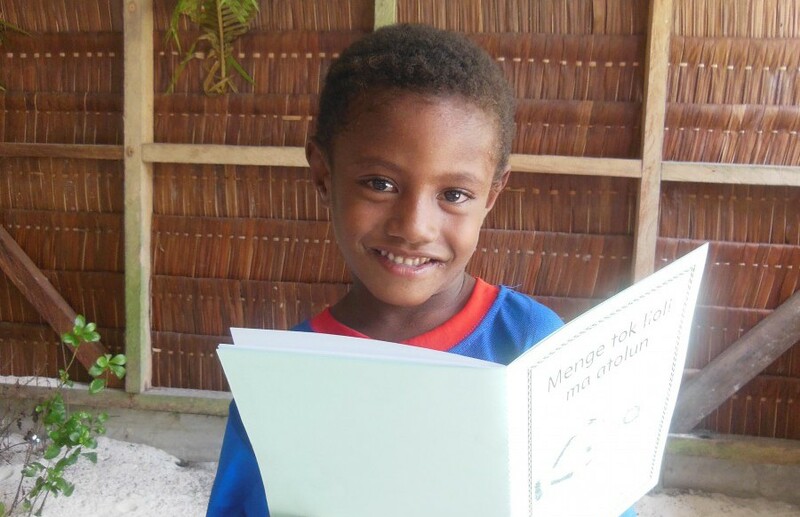 It was the end of this year’s reading competition, a contest designed to encourage literacy in the Seimat language of the Ninigo Islands, when little Jaspa stood for his turn. The event organizers had allowed Jaspa to join at the urging of his grandparents who had been reading to him at home, though they were unsure of how an elementary student would do in competition against older children. 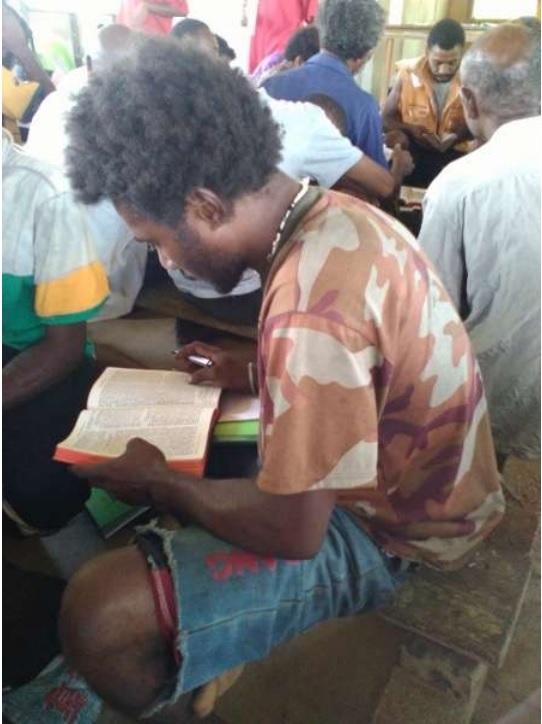 The other participants had done their best, but when Jaspa confidently picked up the book, he had the attention of the whole community. He read the story fluently, and the audience erupted in cheers. One little boy had shown everyone that reading was no longer a stumbling block to education. 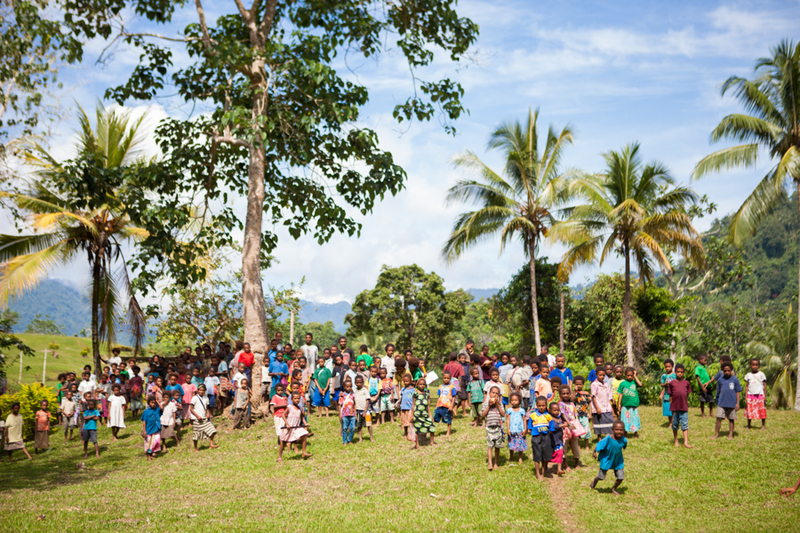 To learn more about literacy in Papua New Guinea and how you can be apart of the work click here!